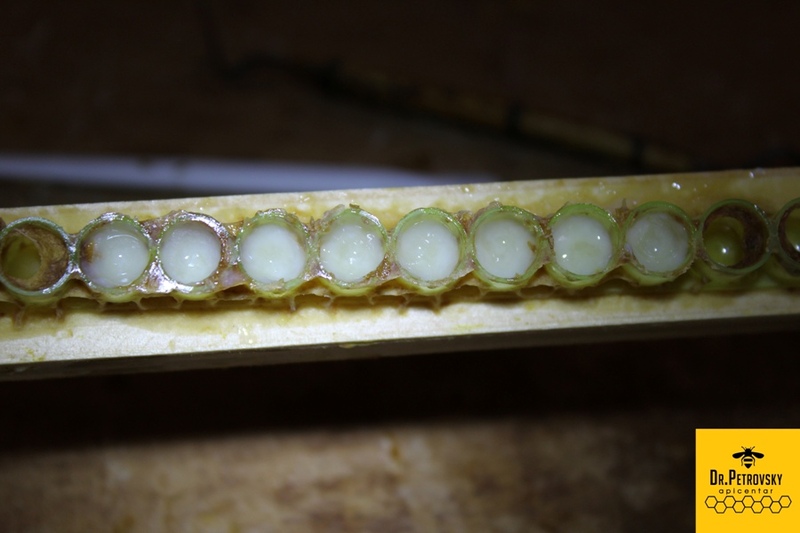 Did you know that the beekeeper must empty 2000 queen cells to get 1kg of fresh royal jelly, which takes 60 hours? Royal jelly or gelée royale is the most precious gift from the beehive. And therein lies the secret to longevity, size and incredible fertility of the queen bees. Description: Bees do not collect royal jelly, it is secreted from the glands of young bees (from 5-12 days of age) that have not flown out of the hive yet. They feed the queen with royal jelly for their entire life and the queen is responsible for the survival of the specie. It is royal jelly, that the queen consumes, what have sustained the life of bees for over 40 million years. The royal jelly is recognized by people who have concluded that this wealth of the beehive is one of the most important supplements. 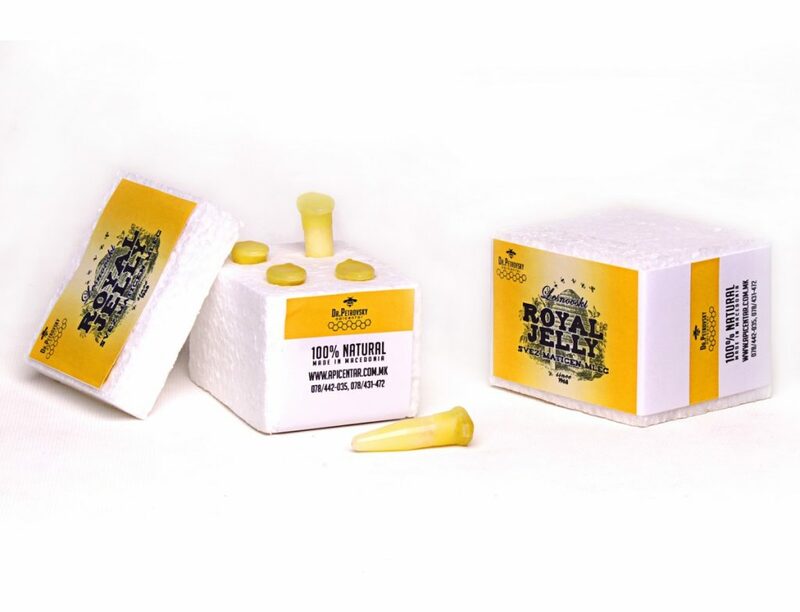 Fresh royal jelly is a thick substance with distinctive taste. Place it under the tongue and hold it as much as you can, this would enable the best absorption in the body. Composition: Royal jelly is the most valuable product of the beehive. The queen is genetically identical to the other bees. But, by consuming this precious royal jelly, it grows twice the size than regular bees and lives 30 times longer. And it is the only female bee in the hive. It is believed that the queen is the most fertile creature on the planet, laying up to 3000 eggs a day and the weight of these eggs exceeds its own weight. Royal jelly was used by the pharaohs in ancient Egypt, and it was called “food of the gods”. Today we know that the uniqueness of royal jelly is due to unsaturated fatty acid 10 HAD (10-hydroxy-2-decenoic acid), found only in royal jelly. The quality of the royal jelly depends on the amount of 10 HAD (10-hydroxy-2-decenoic acid). 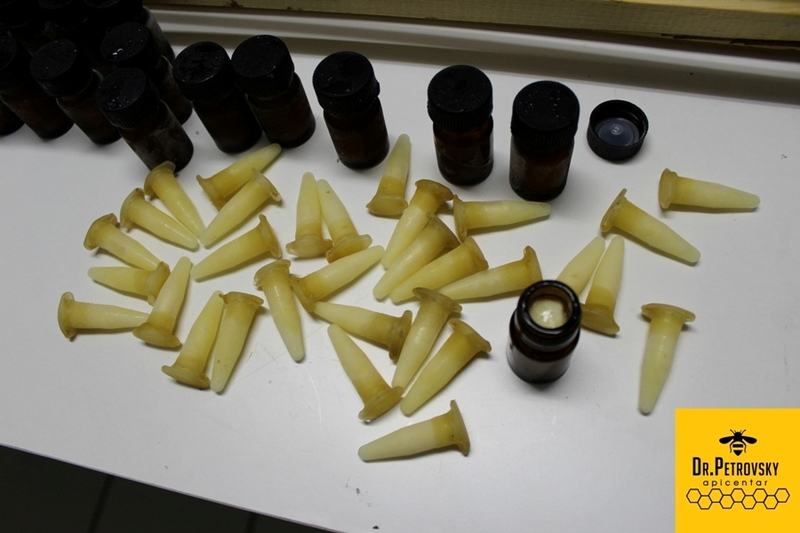 Usage: Recommended dosage is 1 g of royal jelly. It is taken on an empty stomach and dissolves under the tongue for obtaining the best effect. The capillaries under the tongue absorb the royal jelly directly into the bloodstream. 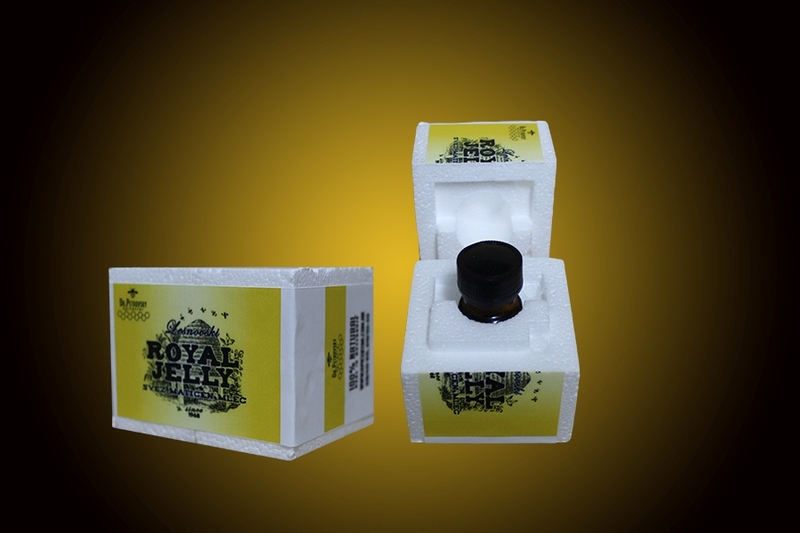 Packing: Pure royal jelly is packed in plastic vials of 2,5g. The vials are packed in an insulated transport box to maintain the required temperature for long time. · If opened, the product should be kept in the freezer and used within 30 days. People allergic to royal jelly should not use this product.